This stable release is planned to be the fall release – so you can expect this to be especially well tested. What else will there be? 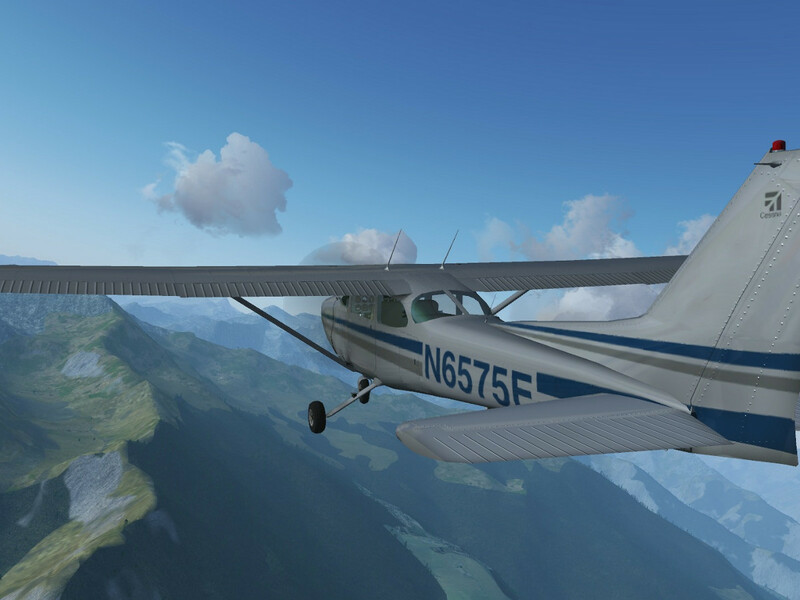 Flightgear’s default aircraft, the C-172p, is now better than ever. The cockpit has received a lot of improvements, including new recess casings and glass reflection effect to all instruments, previously missing panel parts have now been included, such as alternate static source knob, low voltage LED, lighter hole, a working glove pocket (which holds the GPS device when not in use), sun visors, and PPT cables connected to the yokes. Other improvements include 3D model and textures changes to all levers, toggles, seats, magneto keys, EGT gauge, attitude indicator and ammeter gauge. An ambient occlusion map has been applied to all interior textures, making the cabin look much more realistic. The plane now makes use of lightmaps, making night flights much more immersive than before. These include post lights, which are installed on individual gauges, a red flood light which can be used during night flights too, and a white dome flight and wing courtesy lights to be used while in the ground during the pre-flight checks. The lightmap illumination responds to the environment light and dims during daylight. The exterior model has also received some improvements. It now has a much improved vertical stabilizer model, including a retopologized beacon model, and all of the aircraft antennas have been redesigned as to match the gauges in the model P.
The aircraft has also received new sounds: clicking on the checklist in the pocket by the pilot seat, toggling the control lock, mounting and dismounting the GPS from the panel, opening and closing glove pocket, moving the window latches, and toggling the water rudder cable. The flaps lever and flap motor have also received sound improvements. Other than that, the tutorials and checklists have received much attention, including two new tutorials: take off and landing for float variants. 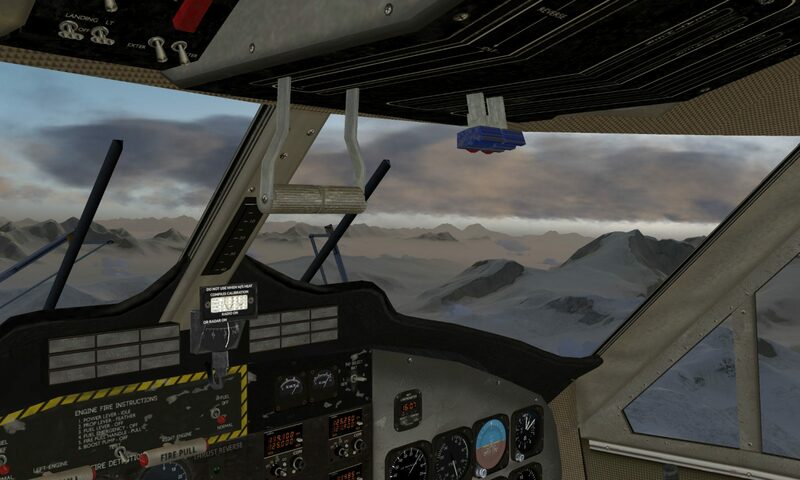 This release also fixes many bugs, among them an adjusted P-factor effect, making the flight model more realistic. 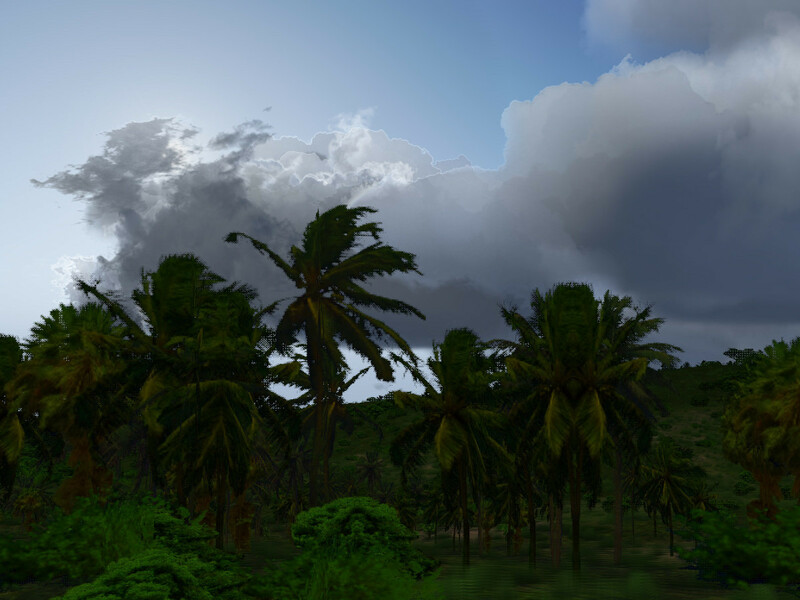 In the Atmospheric Light Scattering renderer, an experimental new option for more detailed cloud lighting is now available. This includes diffraction and rainbow effects on high Cirrus clouds as well as more dramatic darkening and silver-lining for lower clouds seen against the sun. For clouds seen with the sun, Mie scattering is simulated which darkens the fringes of clouds. 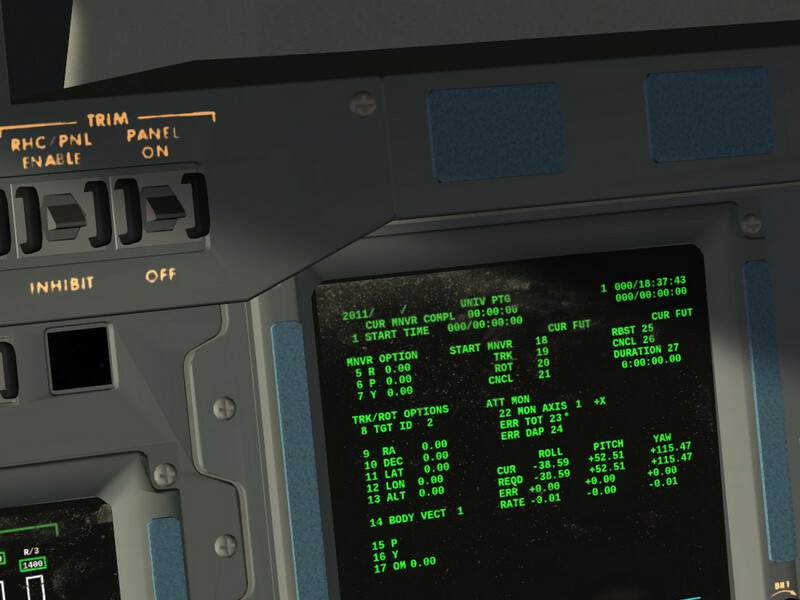 Aircraft developers can now use a new effect for displays, which simulates both the eye response to too bright or too dark display settings for the ambient light level and the visuals of dust on the screen surfaces for glancing light angles. An exciting new spot to explore is the Arctic island of Jan Mayen, situated north east of Iceland. It received a makeover with corrected elevation data and coastlines, and is now available via TerraSync. 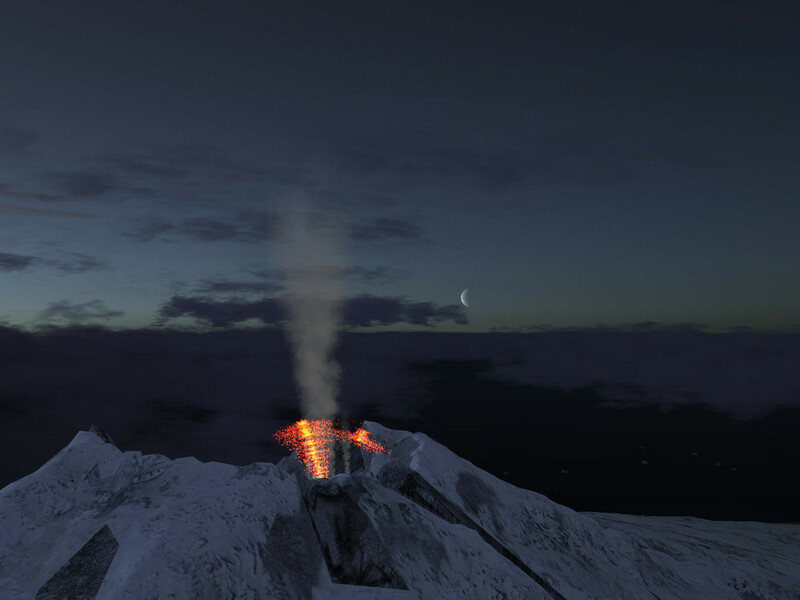 The volcano, Beerenberg (2277m) is also now one of the active volcanoes simulated in FlightGear, making for an impressive sight as the snow covered peak belches out smoke and ash. – APC now holds alpha rather than airspeed. – Wingsweep (oversweep) now modelled correctly, wing bending (G load, damage), JSBSim systems rather than Nasal. – alpha indicated has been aligned based on the touchdown geometry of the hook; optimised for 15degrees indicated. – performance improvements (canvas, cockpit model merged with texture atlas), should work better on lower spec. systems.